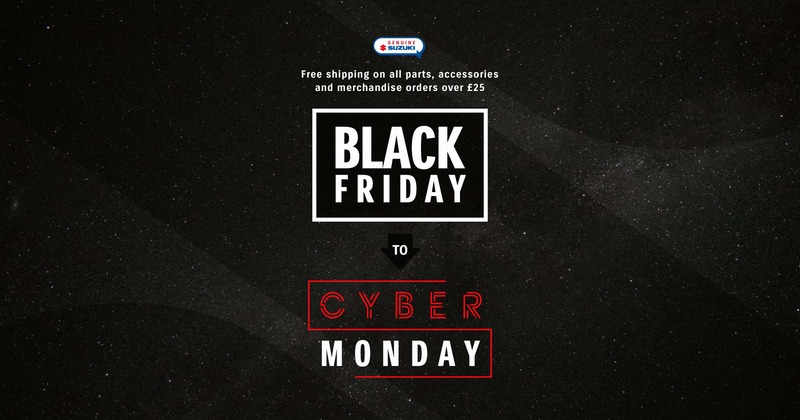 Suzuki is offering free shipping from Black Friday (23 November) to Cyber Monday (26 November) on all orders placed through its online store that total £25 or more. Available across merchandise, parts, and accessories, it means getting that hoody or MotoGP jacket you've had your eye on is even more affordable, or if you're still doing your Christmas shopping you can save a little extra, too. Alternatively, use it to get the exhaust that finishes off your SV650 a treat, or the luggage for your V-Strom 1000 so you can go on that riding holiday next year. Finishing a project build? Get the bits you need while save on the shipping. To browse Suzuki's online shop and take advantage of the Black Friday deal, click here.